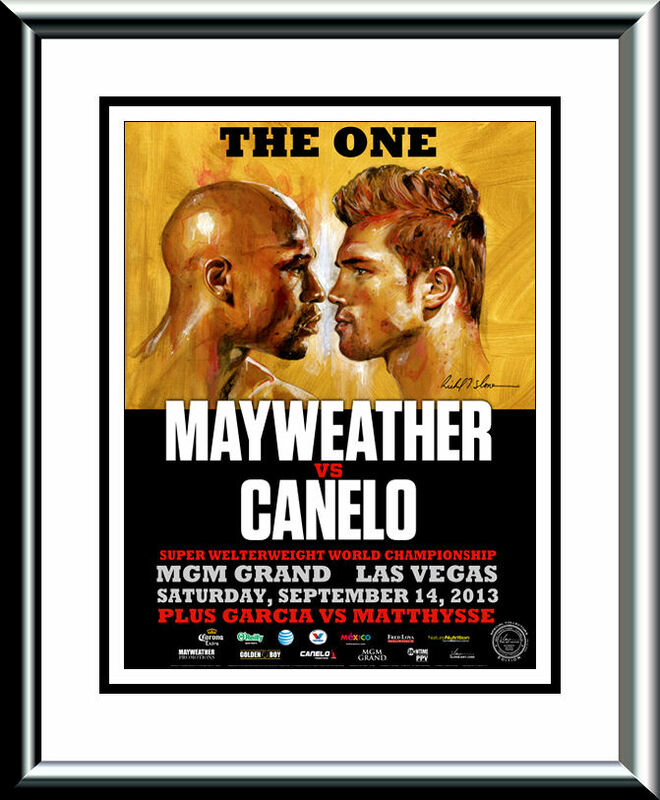 Description : Official Slone art limited edition MGM Grand commissioned onsite poster (Face Off) from the Mega Fight at the MGM Grand Garden Arena in Las Vegas. 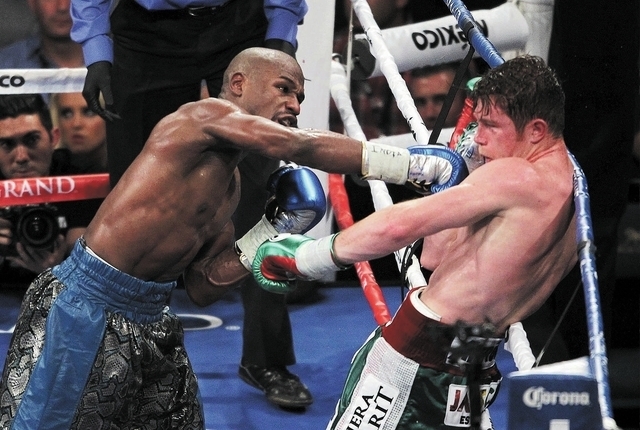 Where Floyd Mayweather Jr dished out another boxing lessen to the up & coming Mexican Superstar Saul 'Canelo' Alvarez. 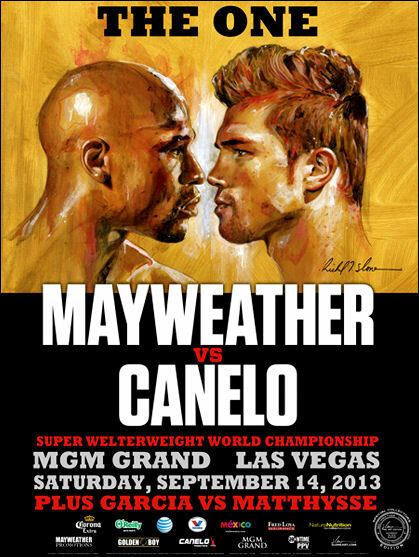 The judges scorecards caused controversy when announced that it was a split decision for Mayweather in a 12-round majority decision in front of a sold out crowd of 16,746. Judge C. J. Ross scored the fight 114–114, a draw. Judge Dave Moretti had it 116–112, and Craig Metcalfe scored it 117–111. However, many observers felt that the scorecards were far too close and that Mayweather should have won an easy unanimous decision.